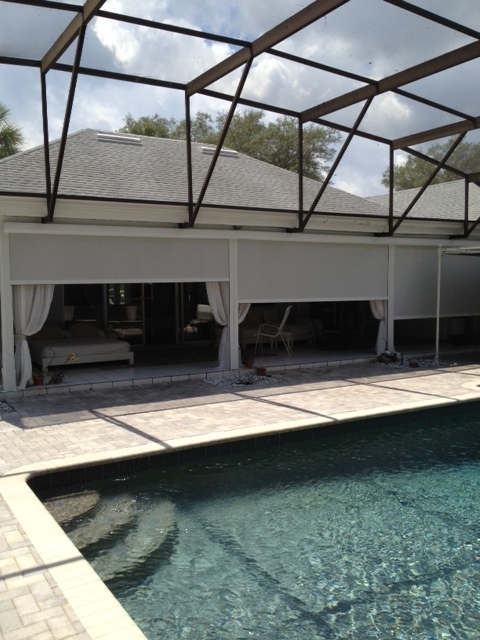 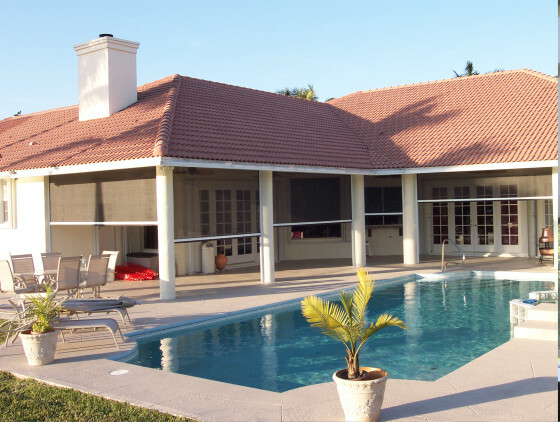 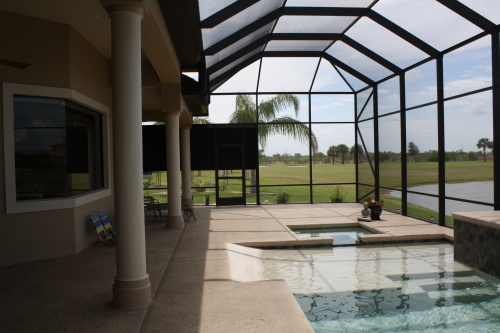 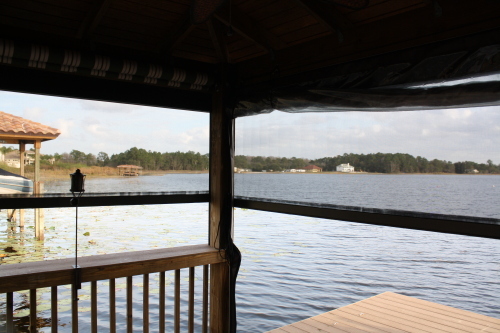 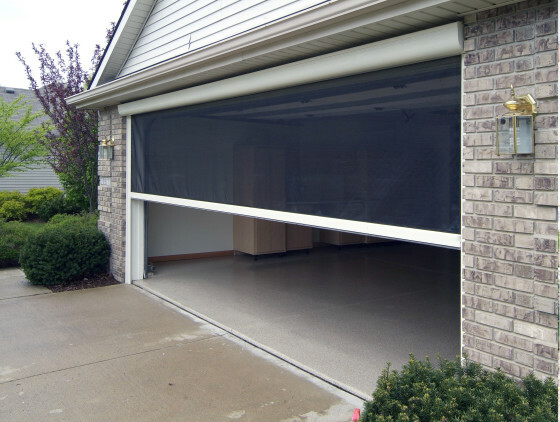 Shade and Privacy product’s retractable screens are the best on the market. 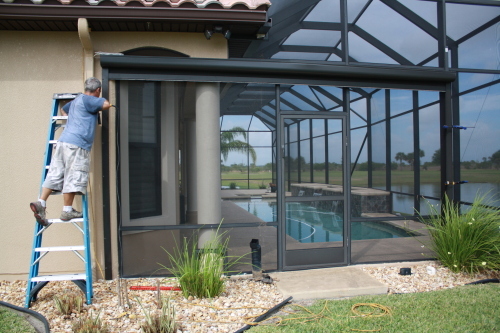 The retractable screen disappears out of sight when not needed to restore view. 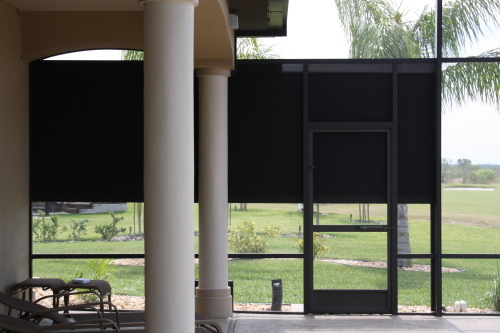 And with the push of a button, will provide insect protection for your patio. 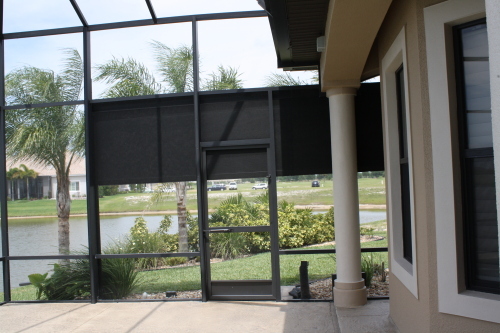 Give us a call today for a great alternative to a standard screened patio.